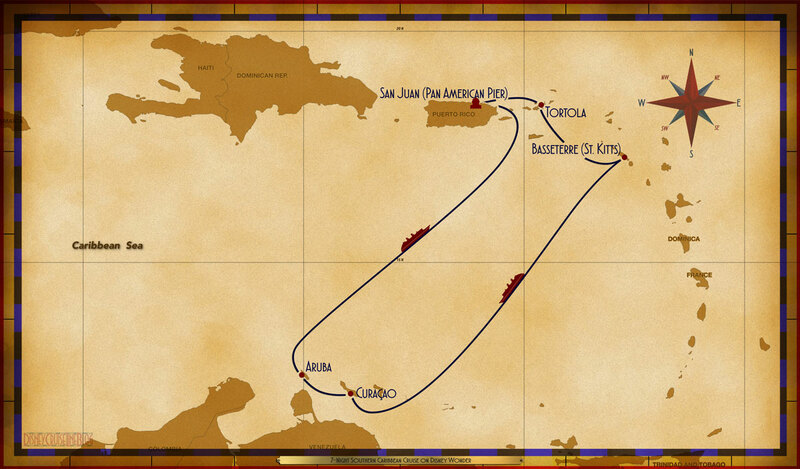 Personal Navigators, and other handouts from the 7-Night Southern Caribbean Cruise on Disney Wonder. The Disney Wonder set sail from San Juan (Pan American Pier) on January 20, 2019. During this cruise, the ship was under the control of Captain Daniele Aschero. The Cruise Director during the sailing was Natalie Bailey. Thank you Summer Frace for sharing. This entry was posted in Personal Navigators and tagged Aruba, Basseterre (St. Kitts), Curaçao, Disney Wonder, San Juan (Pan American Pier), Tortola by Scott Sanders. Bookmark the permalink. Going over the Navigators I noticed the beverage station closed at 1AM why was this? Did a Illness break out? I went back and checked and you’re right, after the first couple of days, it was closed after 1 AM. I don’t know the reason for this (nor was I up late enough to confirm). I didn’t hear anything about any illnesses or incidents onboard so I really don’t know.